Speak Screen - No Page Turning!!!! Why doesn’t page turning work with Speak Screen on iOS? Speak Screen. With the feature activated, you can drag down with two fingers on any screen to have the text read out to you. A floating control panel appears allowing you to adjust the speed of the reading. 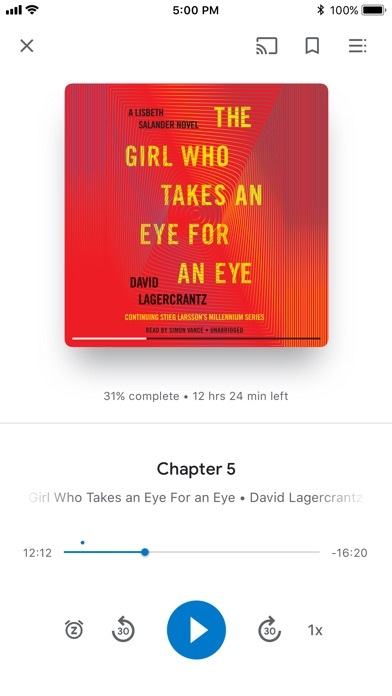 Even on good WiFi, audiobooks don’t download. Streaming is constantly interrupted by error messages. I really enjoy this app. I just wished it had the feature of uploading your own Audiobooks, if so, my life would be so much easier. Small detail but it makes a big difference. The old page flip animation in landscape mimicked turning a page in a real book. The new animation is like you have a xerox copy of a book (2 scanned pages per piece of paper). It is really distracting while reading because the page animation is too long. Please return to the old page flip animation style. If you are going through the effort to mimic a real page turn make it look like turning a page in a real book! Since the most recent update the app is force closing when attempting to read a book. I started buying my books on Play Books because when they say a book doesn't have DRM it actually doesn't have it, unlike Kindle. Another plus over Kindle is Latin is an option for translation and the current series I'm reading -Terra Ignota- makes that a highly useful feature. Books also keeps my current reading place well cross-platform. Unfortunately, the iOS version of Play Books is disappointing. Besides it just not being a very nice looking app, and lacking some options with selected text (please automatically display a definition when I select a word - an obvious missing - and I’d like to be able to share definitions, translations, etc. of selected text), the worst part for me is the highlighting feature is completely screwed up. I use highlighting a lot. When I look a word up I like to review them later so I use a color for that; then a color for grammar or spelling mistakes, another for storyological problems. I can reproduce a few different highlighting issues. Selecting a word and looking it up often unselects it in terms of the color and handles but not for 'real'. If I then press a highlight color the highlight remains invisible but the tool shows the highlight as being removable with the x. Other times after the definition lookup the word appears highlighted by a color but is not and I have to select it then highlight then remove the highlight to clear it completely. Leaving a page and coming back often dumps the highlights. Sometimes highlighting a word causes other highlights to appear on the page, which I never made, including partial words, even through page turns. And the highlights made on iOS Books do not reliably appear when I check them on Android, though they seem to be fine in the other direction - Android to iOS. I had hoped this latest app updates would solve the issue but it didn't. If I want to read the book and have the highlights work I can always use the Android version but that is frustrating to have to switch platforms. I need the highlighting to work properly on iOS please. As is usual with Google, the new update is not as good as the original. The new version is slow, unreliable, and buggy. Highlights only show on the page open when loaded. Loading takes an inordinate amount of time. Crashes are frequent. It seems like with the new update the iPhone won't sleep if the play books app is open. This is bad news for me because I often go to sleep reading, and count on the auto shut off. Can you please make this possible again!? We recently moved from exchange to google. We are unable to share documents with Play Books. This was a useful feature that I can’t seem to utilize. I’d love for a share feature within the application. Can hardly read a book. Crashes as soon as I open it. Takes forever to load. Speak Screen - No Page Auto Turning!!!! Why doesn’t App Version 5.0 page turning work with Speak Screen on iOS 12.0? It STOPS on EVERY page!!!! Speak Screen. With the feature activated, you can drag down with two fingers on any screen to have the text read out to you. A floating control panel appears allowing you to adjust the speed of the reading. I have been using Google Play books for years, I have temporarily switched over to the iOS platform and feel some of the Android features like read aloud should be added. Tried audio book and it says play preview but you can’t here the whole thing why? Crashes every time I try to highlight. Literally unusable. Crashes literally every single time I try to highlight text. Used to work fine. I love to read when I have time and this app has proven in my opinion to be great. I have purchased various books and novels without having trouble with the download, I even can download them anytime on my cellphone without any issues. Keep up with the excellent job!!! I’ve highlighted information for several meetings, all gone. Sometimes you cannot highlight information. Syncing to other devices, terrible. So I’m through.I hold the app just in case there’s a miracle update that reports.I wouldn’t give this one star. If you can’t listen on a plane ride, then what’s the point? Text highlights is totally broken. When text highlighted going back to the highlighted text jumps to wrong location and pervious text is no longer highlighted. Shame on Google for a broken app. Waited for several updates still not fixed. Load of crap so far. Tried to open in iPad and iPhone. Down load it many times now. Can not open it? Come Google. Get it together and sort this mess out. You say it is easy to use. Fill like it is useless to keep trying. I can buy my books easy but can not get your app to work? Play Books doesn't work on my iPad Pro. I uninstalled the app then installed it again, but still it didn't work. Fix the app, please! How do I purchase books here? I don’t see any price tag or option to buy. Only option available is SAMPLE download. How do I buy books here? I downloaded a sample, read it, and then decided that I wanted to purchase the full version but there was no option to do so. I highlighted information I needed to share at a meeting.It was all gone.This is supposed to be Google. Terrible,Terrible,Terrible. Terrible,Terrible instead of 5 Stars . I would not recommend to anyone. 8/13/18 still the worst. All those 5 stars are probably people working for google or relatives. Look at (see all ) You find other people who do not like the update. GOOGLE I expected better from you. This is the worst app I’ve ever seen. It crashes on starts, it bugs in the middle, it destroys everything on my iPad. Cmon google step it up!! When using the app with a screen reader, which requires switching to flowing text, the pages will not turn. Users must completely log out of the book and log back in to progress to the next page. I’m using this app to help me read books in Spanish, but it seems that every time I get an iPhone update, it defaults to translating “Afrikaans to Afrikaans.” Going through all the time to scroll down to Spanish and then again to English gives no results either. I never know how long this will last. I really value this app as a language learning tool. Please fix. We recently moved from exchange to google. We are unable to share documents with Play Books. This was a useful feature that I can’t seem to consolidate. The android version allows you to mark books as read. It would be a nice feature for iOS. The iPhone version does not show some of my book covers. That needs to be corrected. I just downloaded app and it doesn’t work. There’s no way to download ebooks or audiobooks and a pop up keeps saying “oops, something went wrong “. I still prefer Android over Apple. The fact I can download google apps(especially the ones I have purchased content on) onto my iPhone is pretty dope. Easy features such as read aloud, night reading, and turning pages with volume keys are well done. Been using this app for over 4 years on android devices. I purchased a book to my IPhone it charged me but I can’t find any where to download the book. I emailed Google but they never replied. Poor app in my opinion. Like the app. But you should update it to tell your subscribers. That when down loading a book or a sample of a book that they have already the book or the sample. Thank you Linda Rudolph. Can you PLEASE add the feature where you can turn pages with the volume button? or maybe by clicking on the margins of the page?? Also can you add a feature where you can import books from the iBooks app to the Play Books app? 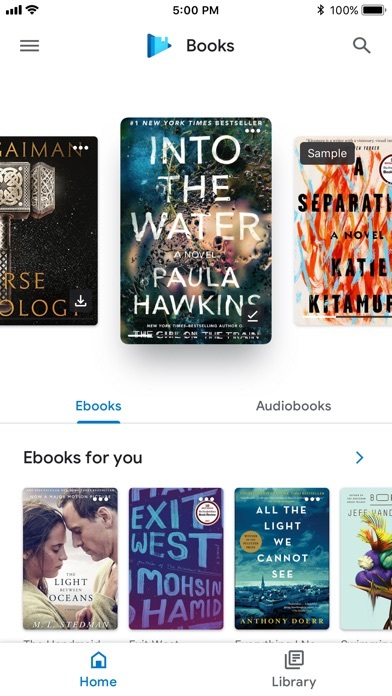 I wanted to like Google when I heard they entered the audiobook market but their selection, quality, and overall app experience has nothing on Audible. Good try, but no thanks. I highlighted information I needed to share at a meeting.It was all gone.This is supposed to be Google. Terrible,Terrible,Terrible. Terrible,Terrible instead of 5 Stars . I would not recommend to anyone. App is lagging and won’t open. Have this problem on my new iPad and 1 year old iPhone. Not sure why but the app is not stable for me. I highlighted information I needed to share at a meeting.It was all gone.This is supposed to be Google. Terrible,Terrible,Terrible. This is adequately usable, but the reading experience is inferior to both of the major competitors. Also desperately needs a way to organize books. Translate working again. Thank you! My rating is back to 5 stars. Love the functionality. It’s not spartan by any means, and all its features work without any glitches. Thank you for helping a nearly fluent Spanish speaker read in his second language once again. It can’t be more appreciated. Can do more on an android than an iPad... IPad doesn't support the ability to highlight of or add notes. Has become useless recently, very disappointed. I've used many different eBook readers. I'll be honest, each has its own pluses and minuses. This is a very user friendly interface. If you use more than one like I do, it's a good addition to the tool box. There is no buy option within the app. It seems like a common sense thing to do to offer the easiest way possible for people to give you their money for a product. This is adequately usable, but the reading experience is inferior to both of the major competitors. (TLDR: no page forward from left side of screen) Pros compared to native iBooks: - text size, font, spacing far more customizable - text fills to the edge of the screen (finally!) - navigation to the "bookstore" is hidden in the left toolbar (no more tapping 4 different bottom-row icons by accident when I just want to read books from my library) - interface just "feels" more updated/streamlined Cons: - NO OPTION TO PAGE FORWARD WHEN TAPPING THE LEFT SIDE OF THE SCREEN. This is my biggest issue with the app. If you don't mind, then you'll probably really like the app. It might make it almost unusable for me - no ability to sort books into folders (while convenient in iBooks, the fact that they force an "all books" main screen instead of just uncategorized books makes it worthless to me, so in that regards it's not a big issue that play books doesn't have it) I only use it to read uploaded epubs so I don't know how everything looks for purchased books. However, I would like the opportunity to customize the blank cover that shows up with uploaded books, with my own image or text. That alone would entice me to use this app even without the ability to page forward from the left of the screen. 1. We need a easy to make a purchase on iOS. When switching between account the previous downloaded ebooks were all gone and required fresh download. Wasting data and totally cannot read offline if switch to other account/have multiple accounts. Google! Please fix it! I bought a book S.M Reine “PAS” got to page 91 of 175 an it won’t let me read the rest of the book I’ve tried everything I could think of but won’t switch pages past that one. Deserve negative number of stars.Broke down after 3 days. Asks for sign in but after putting in e- mail and password only sends me back to the start asking again for sign in. There seems to be no way to break away and get to read the book. This happened more than a dozen time. Too bad because the book was interesting. Lots of orientation bugs (e.g. switching to landscape sometimes gives you two columns, sometimes not) or text being formatting incorrectly after switching. Also: no keyboard shortcuts with the Smart Keyboard: arrows keys should control pages. All my purchased books have no images. Anytime there is supposed to be an image, it just says “image not available”, including on all the covers and photo inserts. When I download a sample, it does display the image! Does not make sense to me, and this just started only two days ago. I will wait to purchase any more books on my list for google play books until this is fixed. Other than this, it is (was) the highest quality of all the ebook apps. UPDATE: I thought it was fixed as I was getting images there for awhile, tried downloading some more books and “image not available” is occurring again! Please fix so I can always see the images when I open the book, I wii wait until this is finally fixed before making amy more purchases. Other than this glitch, all is good. I don’t know what the problem is, but whenever I open one of my comic books it says that the image is unavailable. It doesn’t show pictures either. This app has many problems, for example, I hi-lighted a sentence and latter resume reading, a wrong text from other page is hilighted!! Also, you can bookmark the same page so many times!! This is the best except when my mom wants to get a book she has to go to her computer and it takes more than 30 min!!! I will give you a 5/5 stars IF you can press that when it says “end of sample” so you can buy it and it’s really frustrating for my mom!!! Most books that are comics or pdf are now all “image not available”. Just started. No dictionary. Cannot copy text. Highlight a word and search the web for a definition and you get a blank search page. Useless compared to the android app. I will be returning my play books and using the Kindle app instead. On the plus side, it displays text and the pages turn. E-readers should be more than that. I'm giving it a three because this is a really great e-book app. It's much easier to use and I prefer it a lot better than the iPhone's iBook app for sure. But lately it keeps crashing on me, I tap on it and it goes to open but then crashes. I've uninstalled it a couple times, install it again and it's the same problem. And I'm getting extremely frustrated. It was working well until two weeks ago when it started doing this. I would give this 3 stars. The app itself is about average for reading, but has no good features beyond the basics. But you can’t buy books in this App which makes it a real pain. Worse is if you go to google’s website it promotes this App... uh, ok. Overall is good. But it is too annoying white splash screen when i flip a page in night mode. There were no issues like this in previous version. I added a book to the library, I’ve activated “cellular downloads” yet my iPhone tells me it’s disabled every time I try to read or download it. I am disgusted. I’m deleting this app. I have a lot of ePub books. This is a great app. It would be perfect if there was a better landscape mode, stretching 1 page instead of split 2 pages, like kindle app. Calling my credit card company to get a refund!!! Every time I switch back to the app it just spins. Everything is fine except I cant use dictionary anymore! The free sample is pretty much the index and introduction of the book. Maybe one chapter or half of a chapter might be apart of the free sample. You really cannot benefit from the free option. A free sample would start from the first chapter. See I love this app, it’s great, the only issue I have with it, is that it apparently got rid of the option to create shelves for your books. I used to put my books in shelves by series, now if I want to read a series and I didn’t download it in order I have to scroll through all of my books to find them. Other then that I don’t have an issue with this app. These updates on the audio player 🤨 it not work SMH. Keeps jumping, hard to highlight,I will try to hold on until adjustments are made,Because I enjoyed this app when In early years.When the issues are fix , I’d give it 5stars. I would enjoy the app if only it stop being unresponsive.I would love the ability to use Google play on iPhone. I can’t even do anything, and it should not happened! The latest update text highlights jump from place to place without any reason. Its very annoying must be fixed. Where Did The Dictionary Go? It was there and now it’s gone. It’s on my Android phone. Why not on my iPad? Works great at home. Constantly stopped playing on a drive from SF to LA via I5 (and other times Internet wasn’t good) — which is pretty annoying. Would love it if it stored 5-10 mins (or more!) ahead, or if you could download a book ahead of time. The bookmark functionality for audiobooks is missing. The book I'm reading now does not have chapters; it has a 17 hr continuous section instead. It's hard to find anything whitin the book since the app does not support bookmarks set by the user. Otherwise, it's a good app. It lets me listen to my audiobooks on virtually any device (Windows, Android, iOS, macOS, or anything with a web browser). Can you please add a read aloud option. Love the new features! Smart resume, bookmarks, etc. I think audiobooks should come with the book version, and vice versa, for when you want to read or when you forgot you earphones and you are at public place. I really count on this app ,recently the pages keep skipping, it take a while for the high lighted or under lined and notes to appear.Please fix app so I can add five stars .Thank you. Google Play books has it all; night mode, font size and type adjustable for different size screens, and a massive library of books. Excellent app. iBooks can , play books cannot....why since it’s the same pdf. You get blurry text. I really hope iOS support TTS for this App. I enjoyed a lot having the App reading articles for me on my android device but now I use iOS ones more frequently so I’m not used to the absence of TTS. Would’ve been wonderful if it does. 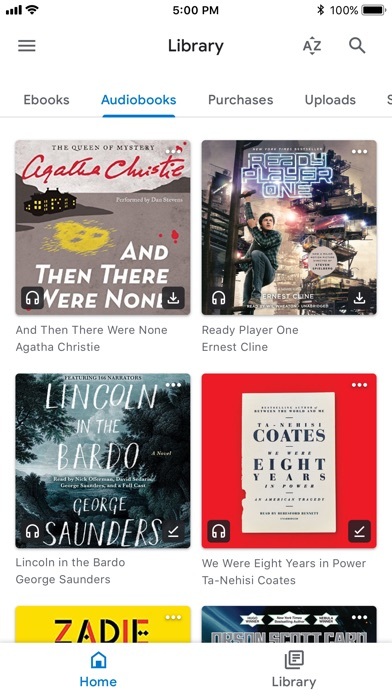 Would love to get a dark mode, also a way to keep audiobooks & ebooks in sync. Great app, WHEN IT WORKS. This application provides an incredible selection of public-domain works, but it crashes often and can be terribly frustrating. I much prefer this app over Kindle for PDF and Word docs. Crashes every time when displaying books with only "original pages" available on my iPad mini 4 running iOS 11.2.6. Super annoying! Please fix! Google, are you kidding? I uploaded 54Mb pdf file and it turned to 1.4 Gigabytes in your app!!! I can read any books! I get an asinine error message that state “cellular data disabled” and states this should be enabled in settings but IT DOESN’T STATE WHERE!!! Stupid!!!! Nice app. The newest update fixed my unreadable books. Old review: The app doesn't make it clear how to purchase books on Apple devices. You have to buy the books on the website, then read the books in the app. I like the night reading function. I can't view any of my purchased books in the app. It freezes whenever I attempt to open them. I have an iPhone 6. Ripoff. You can only do one at a time unless you have two devices such as a desktop and cell phone. Annoying! Less devices being used the better! The app works but is barebones compared to audible. I like the layout and the progress info and such, but it seems to be very buggy. Doesn't respond to Bluetooth-initiated pauses/restarts, nor lock screen sometimes. No options to change the skip amounts (30 seconds only), that would be nice. I'm only going to keep using it until I finish my free audiobook. Getting better. Thank you for your time! Good app overall but, in the iPad version at least, I have an issue. Whenever I follow a link there is no quick way to go back to the page I was reading, short of bookmarking it first. Annoying and counterproductive. If you love 2 read on the go, look no further than here friends. Fair prices. Ease of use. I would recommend. Maybe I’m an idiot but can’t find a sleep timer setting for audiobooks and app doesn’t sleep with iOS sleep timer. The app works seemlessly for purchased and uploaded books. Simple interface that always keeps my place. If there’s a sleep timer for audio books I can’t find it. It’s a great language learning tool, but the translate feature stopped working and, 10 or so updates later, it’s STILL not working. Uninstalled and reinstalled. Cleared data, everything has been tried. Much to my frustration, I’ll just keep having to wait for updates so one day I can finally go back to the books I downloaded (and paid for) in Spanish. I don’t own any e-books through Google Play. But as a stand-alone e-reader, Google Play Books works quite well—and may be one of the most accessible e-readers available. The Material design language works especially well here, providing a clean, intuitive interface. The app also has all of the features expected of an e-book reader, including the ability to highlight, annotate, bookmark, &c. Like Marvin (another excellent reader) it allows multiple colors of highlights, which is nice—though only one color of bookmark. For my purposes, the killer feature is the ability to synchronize highlights, annotations, and bookmarks across devices, via Google Drive, which is really handy. That said, Marvin provides a lot more settings and features. On the positive side, that makes it a far more flexible and configurable e-reader. On the negative side, it also likely provides a level of complexity that most users will never touch. Given that, if you’re casually reading books, Google Play Books is probably the best e-reader for iOS. If you want more customization options, or take a lot of notes, I’d also check out Marvin. Google’s help docs indicate that a built-in dictionary (including offline) exists for the iOS version, but it is nowhere to be found in the current version of the Play Books app. It seems that this only exists for Android. Please implement into the iOS version. Where's the snooze button? Come on please add a snooze button. And iPhone x support thanks. I have an iPad Pro and bought a book for class on here. I can’t view it on the app whatsoever, and I can’t even look at a preview for other books. Garbage. Excellent application, wonderful layout i have adjusted to the application very fast. My opinion would be too download this application. Update 5.0.3 fixed my problem with misplacing highlights. Hope it also works in future updates. I’ve been using this for my ePub books, and it has been working well. With the last update, the formatting is messed up and text runs right to the edge of the screen. It's great to find a place where you can find all the interesting things you want to read about! And mostly for free. Did I say that out loud? Oops. Fantastic app! Great app! Easy to use. Cant access my books. Just shows that little spinning circle thing. Reading experience is flawless on iPhone. Syncs reasonably well when I switch back and forth between reading on Android to conserve battery on the iPhone. Most of the books I buy are cheaper from Google than from Apple. Why do you not offer infinite scroll (continuous vertical scrolling) for ePub? I’d love to replace Apple Books (iBooks), however without it, I’ll stay with Apple’s Books. Great but needs to be optimized. Please optimize for iPhone X screen!! Some times it works other times it just fails and fails badly. Google still doesn’t seem to understand ePub or support what is possible. Interaction is clunky and slow or non responsive. Doesn’t always render correctly and swear they’ve been sending PDFs that don’t reflow and look horrible. Th concept of being able to the read the book is great but when it comes to highlighting and clicking on words the system is very slow. I’m using on an iPad Pro that has all updates so not sure why the app is so slow and lags when you click it highlight words. Downloaded books get deleted after switching to another account. Downloaded books get deleted after switching to another account. I have been using play books for years and personally it’s my favorite book reading aap . On previous versions of this aap the user could download books on different accounts and the books won’t get deleted after switching the accounts but this update deletes books after switching account . I will give 5 stars once this issue is fixed. I'm so thankful that Google decided to digitize and preserve the writings that may have been lost in this digital era. Their work has been a treasure trove for people like me who feel that the only true way to have a complete picture of our past is to continue to read the writings of those who have preceded us. And if we don't know our history we are sure to repeat the worst parts of it. Thanks, Google. Now I can take thousands of interesting and thoughtful people with me in my relatively tiny purse. I get to read books yay! The updated app freezes after opening. Had to uninstall and re-download everything. It got jammed when i open particular book " Indian Polity by M Laxmikant "
I think this is the problem with that book because this same problem comes in my google playbook app also . The book is Indian store " Indian Polity - M Laxmikant fifth edition "
Wished the highlighter feature worked better !!!! And that I could see the a full list of books a could purchase right from the app. I hate the recommended section and the articles. Nothing was explained when I purchased the book, it almost looked like only available for Androids. Finally googled something to find out what to do to get the whole book, not just the preview. App is simple and easy to use. Downloaded it because I can go cross platform with it. Weirdly enough, it's always synced right on my phone, but doesn't sync page properly on my android phone. Does keep notes and bookmarks though. Here recently the app gets stuck on its home page and does not let me open it. The app keeps getting stuck on home page and does not let me open it. It’s easy to navigate to download a free sample of a book. Unfortunately, it’s insanely difficult to find out how to buy the full version. I used their forum and it was useless. There is not a way to ask for help or report a problem. If there is, it’s not easily visible. I’ll be using iBooks. I've had this on both android and iPhone. Excellent experiences on both. Have Play Books on all my devices. A must have. Minus a few glitches that happens every so often: 1when I remove a downloaded book and the app doesn't open until I uninstall and redownlaod the app (rarely) 2. Doesn't handle embedded footnotes well. (75% had issues) It works great for reading books on the go. Would like to be able to buy books from the app but I guess that's a limitation of running on an iPhone instead of a google phone. While the app offers 3D page turn animations for books and PDFs, the app does not seem to support feature for comic books like the Android version. It’s my favorite feature and I wish it was supported. Until then, I just can’t give it five stars. Staying one star til it’s optimized for iPhone X. Been a month, no excuse. App doesn’t save my place where I left off in the book when I exited out of the book. The highlighting feature works like crap and they don’t even have yellow highlighting. Amazon Kindle app is much better. better than iBooks, especially for scientific books. The text is not clear on iPhone. It's fine on Android. the experience on iPhone is just awful. Most of my reading is on my tablet which has a larger screen than my phone. I think the tablet is just mix of size and weight. The google books app is well set up for that usage. I recommend it. I use it for textbooks, novels, and the occasional graphic novel. I've had no problems with any of those formats. Update 5.0.3 fixed my problem with misplaying highlights. Hope it also works in future updates. I can’t turn the page. Also the read aloud will only read one page and then I have to turn the page and activate it all over again. Which is impossible because the pages won’t turn unless I close the app all the way and reopen it. That’s unacceptable! I can’t even enjoy the new book I bought. I never had a problem with my android so maybe the app isn’t comparable with apple but still it’s so annoying. I loved using Play Books to read as it has all of my books in one place, but the lack of iPhone X support has me looking for better alternatives. I enjoy the Google Play Books selection, variety, and prices. More specifically, I enjoy being able to save my notes and highlights in my Google Drive for future referencing. The Google experience is simply the best. My only complain is that it doesn't have all the features that it has on the Android platform. I would love to have the option to organize the books that I'm currently reading and the ones that I've read and the ones that I haven't started to read as I can do on Android. Please Google, give us that option too. I can't access any of my books because the app crashes as soon as it launches. Help! I just wanted to read books on my phone. The entire process of this app is easy to use: searching for a book, purchasing a book, accessing a book offline no problem! I’m giving this four stars because in some cases it seems to work well. My biggest complaint is getting samples of books. I like the ability to view a sample... but once a sample, always a sample... in the app anyway. 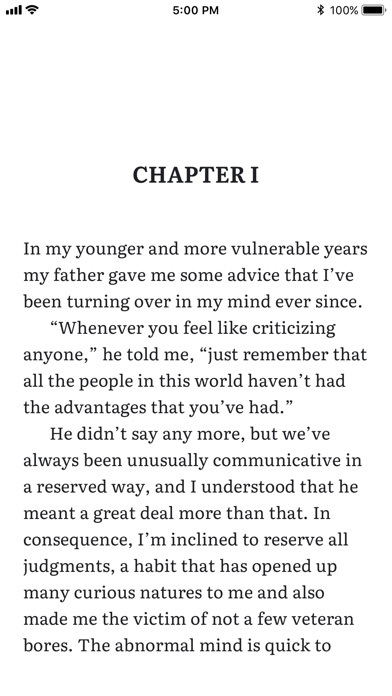 I purchased the full book and can read the entire book on the browser but as soon as I go back to the app it’s a sample again. I’ve tried deleting the download and even removing the title and then going back to the full book on the web browser and clicking “view in app”. 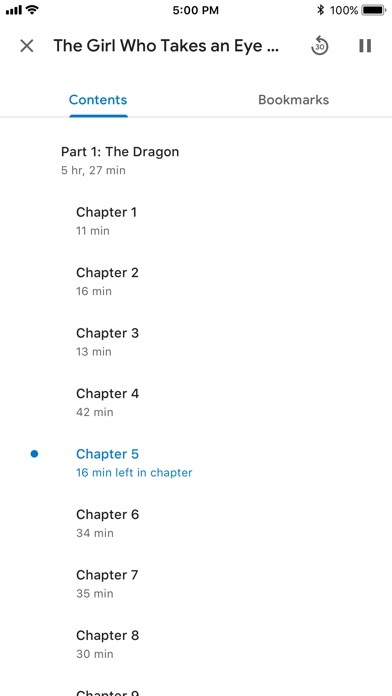 Even if I’m in chapter one on the browser when I click to view in app, it goes back to the introduction and says none of the chapters are able to be viewed. Like it’s still a sample. So I’m annoyed with that but otherwise the app seems okay. I have an android phone and an iphone, and this app does not function properly on iphone. The books show in the Library but never open when selecting them. I’ve tried reinstalling the app, logging out and in multiple times — and I get the spinning wheel indicating “loading” for hours and hours. My device is connected to internet and all other apps are working. Kindle is a far better app, never once given me an issue. Crashes about 5 secs on opening, consistently. Help. Does this app still work for iPhones? I use to own an android but I switched to iPhone. And I use this app to read my books 😕 but the app doesn’t open on my iPhone anymore. It opens for 2 seconds then turns off. I updated the app and phone, so I’m not sure what’s the problem. I try to read one of the books that I’ve purchased, but the app stops to respond after 20th page. Awful. I’m disappointed. On the Android everything works fine, though. iPhone 7+ won’t download books to library or open books. and an option to make the page turning animation less obnoxious. I started using this app 4 years ago, and I switched to Apple 2 years ago. I kept using Google Play because 1) I already purchased books 2) They have ebooks great for school and 3) it's a good app. I give it a 4 because the books are sometimes wacko or the free books don't have all the content so you have download another free version of the book. But the app never crashes, and it's easy to use. It lets you sync your google play books to your phone using DRM-free ePub. What more can a man ask for? I thoroughly enjoy Play Books. I love reading, so the accessibility of each book in my library is an absolute plus! I recently switched from Android but I’m still a play books fan. I only found one issue using play books in iOS. When using speak screen the pages don’t turn automatically like in iBooks and it only reads one page and then the app freezes. You can’t turn the page after speak screen stops. Get these bugs fixed and I definitely have to git it 5 stars. The app works perfectly and does what you'd expect. iPhone X support please. I love Google Play books, but I would love it even more if the app supported the iPhone X’s display. "Speak Screen" support is terrible. It does one screen at a time. It doesn't turn the page. After it shuts off the book can't turn a page forward at all. iBooks is much better. It even turns the page for you when the screen is off. ... that though I PURCHASE a book, I can’t even loan the dang thing to anyone. Would be 5 Stars if I could loan something I own. Quite ridiculous if you ask me, or anyone I’ve talked to about it. I get you can’t let people turn into book dispensaries, but come on. The app keeps crashing on me so it’s very hard for me to really sit dow and enjoy a good book! The book reader does fine, however the display often messes up. I do a lot of highlighting, in various colors. When reading a chapter I previously used some highlighting on, sometimes I’ll turn the page and the entire page is highlighted one color, turn the page the entire page is highlighted another color, turn the page and things are back to normal. If I click anywhere on the page that’s completely highlighted, and hit delete the entire page’s highlighting disappears, but I don’t know if what I wanted to be highlighted also disappears. I hope they fix this bug. The update is slow and unresponsive. Ever since I updated the app, it won’t let me open my books and when I click on the “read” button it removes the download. Eventually the books open but it takes a very long time. Very disappointed because I’ve used Google books for years and never had a problem before. Every time I open the app it and press read under my book it won’t open it. FIX IT! This is such an intuitive and useful app. It is worlds better than iBooks, but that is nothing new when comparing Google products to Apple products. It shouldn’t be this hard to contact someone about the app. My books were working fine until the update. Now they say they are downloaded but won’t open. I appreciate the X support, and the app makes much better use of screen real estate than iBooks or Kindle. But, unlike in iBooks, Instapaper etc, the indicator bar at the bottom is persistent in full screen. It’s been a few months now google!! I love my collection I have accumulated....when I can read them. Without fail, I can begin to read and suddenly the app will freeze. So I move off my iPad to my iPhone and it does the same thing. It’s only certain books. Please fix this. I already prefer Nook but I enjoy using both. I may have to drop Play Books all together. Not working for iOS 11! I’ve had this app for years now and every 3 updates it stops working then fixes its self! As of this moment it won’t even open! Please fix this! I’ve paid for my books and I’d like to read them. I just feel like if I can’t highlight stuff, this is kinda trash lol. Am I wrong though? Thank God for this app! This is the best cloud book app ever. Downloaded app selected some books. Error messages, crashed, app a mess. Deleted app. Joke. Waste of time. Be careful when deleting books. This software does the job, though I don’t like the interface as much as Apple Books. I use this one almost exclusively though because I can open my books on almost any tablet or phone, not just Apple ones.